The The Shadow Conspiracy "Stacked Mid BB" Bottom Bracket - Extinguish Ltd Color comes with a very special colorway which is called Extinguish and will give your bike a very unique look. With The Shadow Conspiracy "Stacked Mid BB" Bottom Bracket - Extinguish Ltd Color you will get a Mid BB set for 22mm crank spindles. 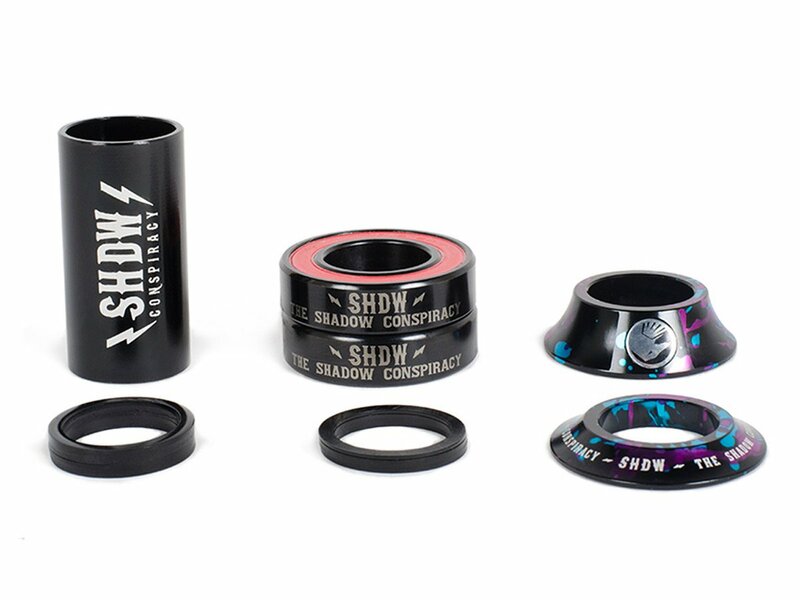 The Shadow Conspiracy "Stacked Mid BB" Bottom Bracket - Extinguish Ltd Color includes high quality sealed bearings, distance tubes, a sprocket adapter ring a set of aluminum cones and spacers.